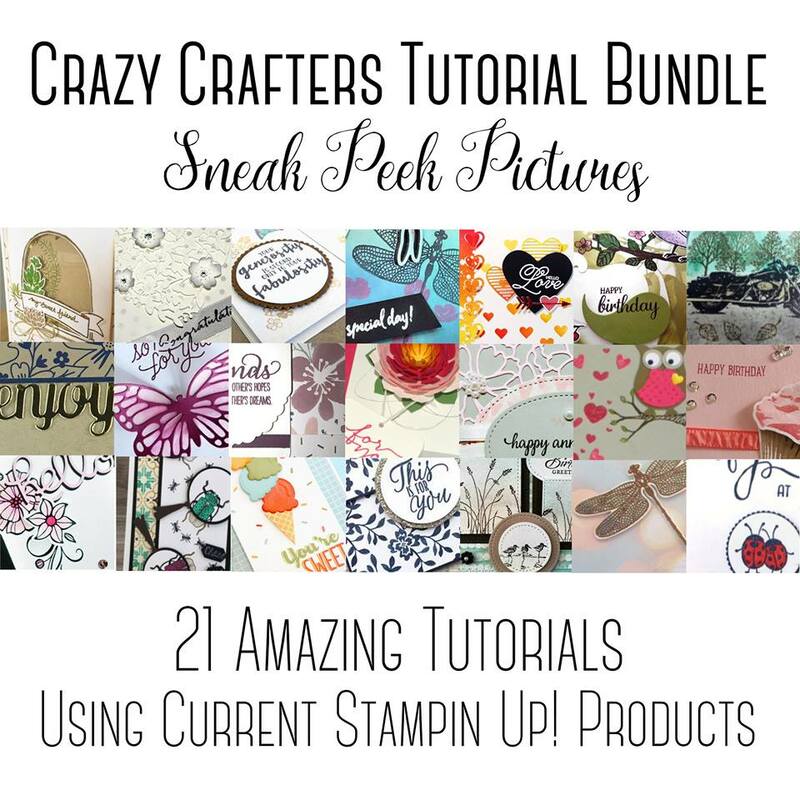 I am excited to share with you all, that myself and 20 other very talented members of The Crazy Crafters Team have been working hard and we have created an amazing Tutorial Bundle for you. There are 21 different projects all using current Stampin' Up! products, plus some brand new products from new Occasions Catalogue. Each with their own step by step instructions with photos, in both metric and imperial (inches) measurements. The bundle is available in both A4 and Letter (US) formats so anyone in the world can print and create with this amazing tutorial bundle. There are so many different ideas and techniques included in this bundle, that there is going to be something for everyone, no matter what your skill level. And it's a bargain at only $25 AUD for the bundle. That works out at around $1.20 per tutorial. Click Here to purchase your copy of the bundle today. Once payment has been received, you will receive an email with the Tutorial Bundle in both A4 & Letter formats.